Curating a classroom for a culture of thinking. Over the last six months I have been reading Ron Ritchart’s ‘Creating a Culture of Thinking.’ This book has transformed my approach to both leading and teaching in a classroom. One aspect I have been experimenting with is leaving out equipment to generate students thinking and questions. This is my first attempt, with the thought of creating a hands on ‘museum’ display that could be left set up for any student in any class to use and explore. Which beach has the best sand? 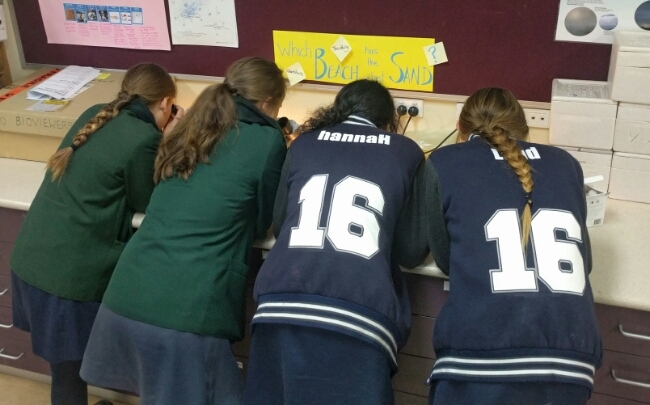 Viewing the different beach sand. 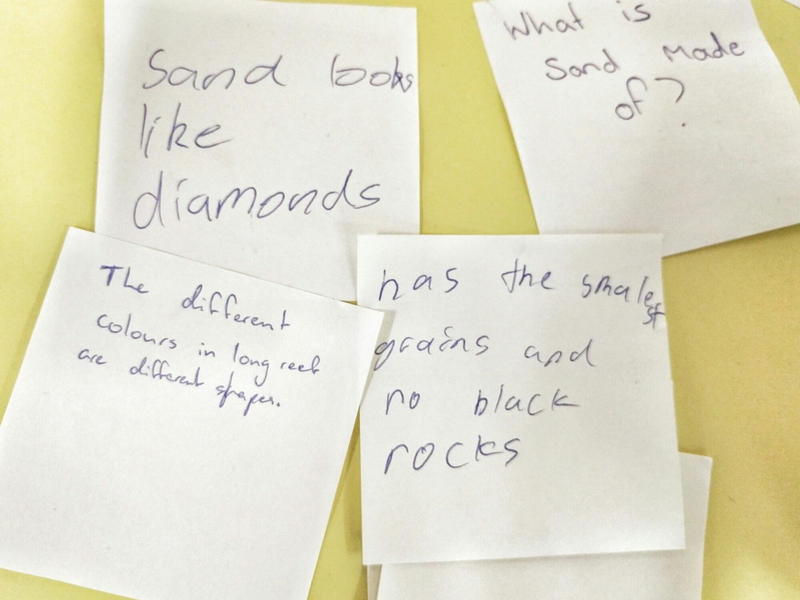 I have seen a variety of students across the high school and primary school take time out of their normal learning to investigate and converse about the different sand. Not all the questions, thoughts or statements generated have been captured by the post-it notes, but what has been is encouraging. Often to get students to record their thinking has required my intervention. When I have heard a good question or observation I have stated ‘how valuable a students thought was,’ this has then enabled students to value their idea enough to record it. Post-it note observations, ideas and questions.